The aim of the Dutch alumni is to raise funds for the renovation of the building of the SMA Gabungan. This relates to point 6 of the school's improvement plan. 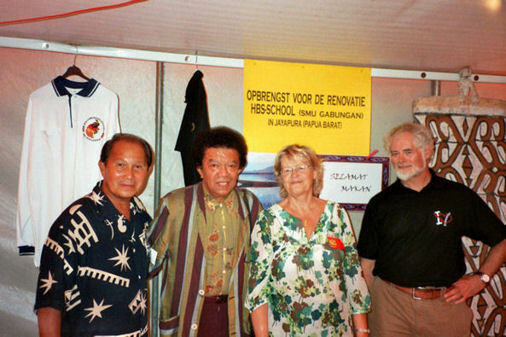 Dutch alumni of the SMA Gabungan (and others) at work to collect money for the SMA Gabungan, by selling Papua articles during the pasar malam of Zeewolde in 2007. After their return to the Netherlands, the Dutch alumni formed a coordinating committee, the "Werkgroep SMU Gabungan"; - this was triggered by an article by Addy Wils in "De Telegraaf". 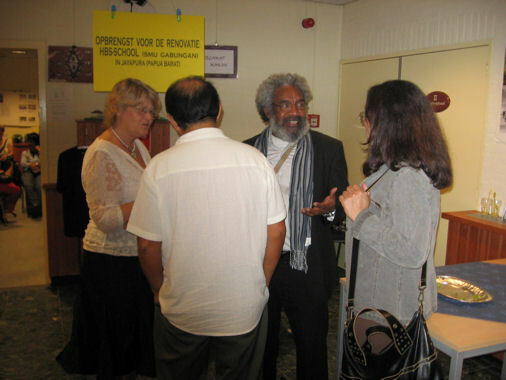 The Werkgroep collects money for the revitilization of the SMA Gabungan and they are in control of the resulting fund. Also they coordinate the contacts with the Management Board of the SMA Gabungan in Jayapura. Alumni selling Papua articles at a Reunion organised for pupils and teachers of schools in the former city of Hollandia, now Jayapura.